Have you ever tried sabja seeds to improve the condition of your skin, hair, or overall health? Do you know that these holy seeds can make your weight loss goal easy to achieve? 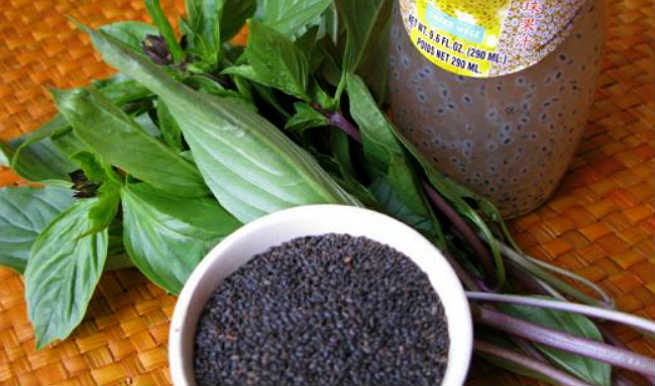 Well, sabja seeds (also called ‘tukmaria seeds’ or ‘falooda’) are small black seeds of sweet basil, which resemble chia seeds and offer a huge range of benefits to human beings. Simply soak sabja seeds in plain water for half an hour. They will absorb water and develop a translucent coating (a gelatin-like layer formed around them). Strain these seeds and use them in drinks, ice creams, kulfis, or any other way you want. Let’s talk about amazing health, skin, hair and weight loss benefits of sabja seeds in this article. Fresh sabja seeds are loaded with all those essential nutrients, which are required for germination of the plant. Adding these seeds to your regular diet can help you get sufficient amounts of carbohydrates, proteins, fats, sugar, dietary fibers, vitamins, minerals, and calories. Hence, your bodily functions are regularized and you can stay away from a number of ailments. Sabja seeds possess 42% carbohydrates, 20% proteins, 25% fats, calcium (244% of recommended daily dose), magnesium (178% of recommended daily dose), iron (499% of recommended daily dose), potassium (56% of recommended daily dose), folic acid (78% of recommended daily dose) and vitamin E (53% of recommended daily dose). They also contain lots of dietary fibers, omega-3 fatty acids, alpha-linolenic acid (ALA), and almost negligible calories. Scientists have proved that sabja seeds have excellent carminative effects. It actually contains a very high level of insoluble dietary fibers. They serve the purpose of a natural detoxifying agent, which cleanses out our entire gastrointestinal tract efficiently. As the stomach becomes toxin-free, the process of digestion turns easier and the scopes of developing various digestive issues like upset stomach, cramps, indigestion, flatulence, etc. also go down. Being rich in insoluble dietary fibers, sabja seeds can reduce constipation to a great extent or even cure it completely. The mucilaginous gel present around their inner covering also turns the ingredient into an emollient upon soaking and contributes to its laxative effect significantly. All you need to do is to soak a handful of the seeds in a glass of milk and drink it every night before going to bed. It will make the movements of bowel through your intestines smoother, thereby relieving constipation. Sabja seeds are very much soothing for our gastrointestinal tract, especially stomach. If you feel an acute burning sensation in your abdomen, you should consume sabja seeds the previous way, i.e. by infusing in milk. Practicing it a few weeks will provide an amazing calming and comforting effect on your entire digestive system, thereby healing acidity or stomach burn. People suffering from type-2 diabetes can be highly benefited by including sabja seeds in their diet. They are known to bring the amount of sugar in our bloodstream under control, which eventually stabilizes the blood sugar levels and treats diabetes in an efficient manner. As per a new study, sabja seeds are extremely helpful in reducing various respiratory issues. Take 1 tablespoon of pure raw honey, 1 tablespoon of finely grated ginger and 1 tablespoon of fresh sabja seeds in a glass of water. Bring it to a boil and drink the infusion for a couple of weeks. You will get rid of cold, cough, influenza, bronchial asthma, and so on. Sabja seeds are one of the best natural stress busters. As said before, they have wonderful calming effects on our body, which are to some extent similar to aromatherapy. Therefore, incorporating these seeds into your daily food actually means reduced stress level, increased mental clarity, improved mental strength and uplifted mood. When it comes to keeping our body cool during those scorching summer days, sabja seeds can be a true rescuer. It has great cooling properties for which, it is used as an effective body coolant. Just submerge a handful of fresh sabja seeds in a glass of water and drink it after an hour or so. They become even twice more effective when taken along with rose petal water or jam (Gulkand). According to health experts, sabja seeds can help us shed off excess body fat significantly if included in a weight loss diet. Basically, sabja seeds expand as much as 30 times their actual volume or size, when soaked in water. 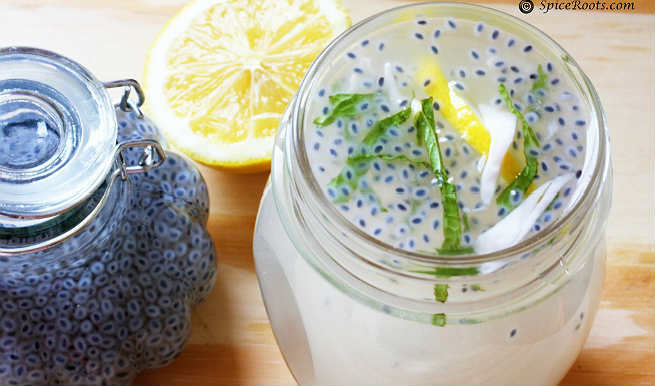 It makes the texture of the seeds gelatinous and turns the drink into a filling one (with least calorie consumption). In short, the high fiber content of these seeds can keep us full for a longer time and curb our appetite dramatically. Being a natural detox, sabja seeds can cleanse your internal system and keep several skin issues like acne, pimples, blackheads, whiteheads, etc. away. They hold all anti-microbial, anti-fungal and antibiotic qualities, which can keep our skin healthy and infection-free from inside. Regular intake of sabja seeds can enrich our skin cells with essential vitamins and minerals. As a result, we get a blemish-free, radiant skin naturally. You can prepare an anti-aging face pack for your skin by grinding dry sabja seeds into fine powder and blending it with a tablespoon of coconut oil. It has also been proved that sabja seeds are very much beneficial for our hair. Protein is the main component of our hair and sabja seeds can provide a whopping amount of this nutrient to our body. You can also ward off pesky dandruff with DIY sabja seed hair oil. Combine olive or coconut oil with sabja seed powder, massage your scalp with the concoction and leave overnight. So, include sabja seeds in your diet today and enjoy a host of benefits. Sabja seed can influence estrogen level in human body. Estrogen is responsible for menstruation and it might create serious complications for pregnant women. 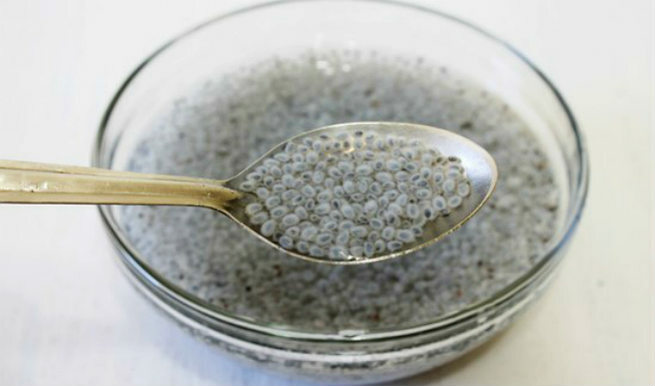 How to use Sabja Seeds to reduce body heat? Sabja seed has excellent health benefits and highly effective in reducing body temperature. 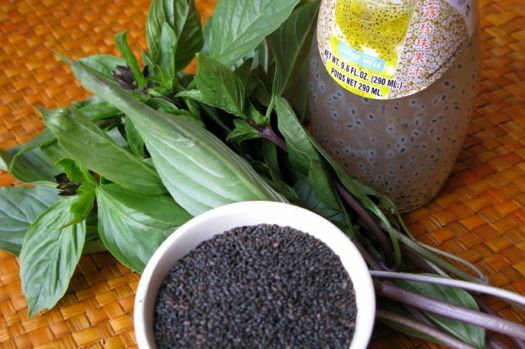 Soak sabja seeds in water for couple of hours and consume it with milk. The syrup will bring down your body heat instantly.